1. Will Kristin Fahy crack 17? Chances are, no. Coach Bill Vice has already said Kristin Fahy, a Stanford-bound senior, will train through the section meet, pointing for state. 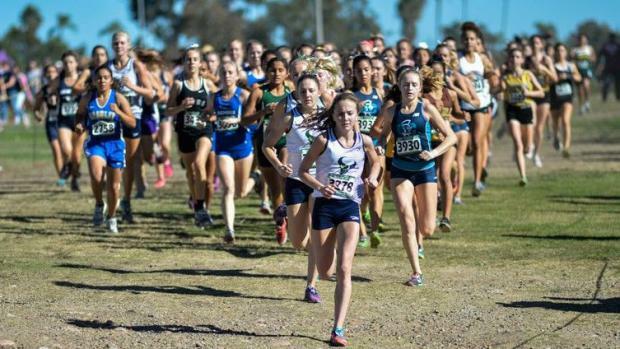 Fahy, who already has two San Diego Section titles on her deep resume, ran 17:10.7 a year ago to set the record since for the first time the girls ran the same course as the boys. Still, she's a competitor and if the conditions are right ... .
2. Wallace and Wallace roll? Maybe it's because she's a year older or maybe it's because she refuses to lose to her freshman sister, but DIV Sage Creek's Skyler Wallace is sizzling. 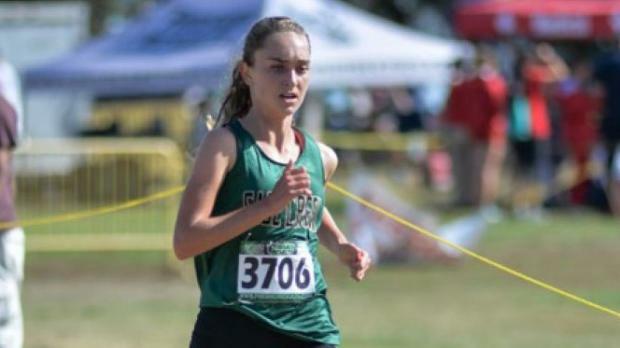 She beat Stormy by 25 seconds in the league meet leading Sage Creek to the team title over DI power El Camino. The sisters are anything but rivals, enjoying the chance to run together. 3. Sophomore jinx? El Cajon Christian's Alaina Zamorano won the DV title a year ago and a 40-second victory in the City League finals, not to mention strong showing elsewhere, make her the prohibitive favorite. She came close to breaking 19 minutes over the tough 3.11-mile Morley Field course. 4. Is it Teresa Perez' turn? If not for defending champion Skyler Wallace (see above), Coronado High senior Teresa Perez would be the favorite in Division IV. Perez warmed up for the championships by covering the 3.11 Morley Field course in 18:29, winning the Western League by 16 seconds over DII Giovanna de Silva of Scripps Ranch. 5. A DI North County showdown? Canyon Crest Academy edged El Camino a year ago and the Wildcats are looking to turn the tables. It won't be easy as Carlie Dorostkar, fourth in last year's DI final, eads the Ravens but the Wildcats placed all five scoring runners under 20 seconds led by freshman Mackenzie Kozina. 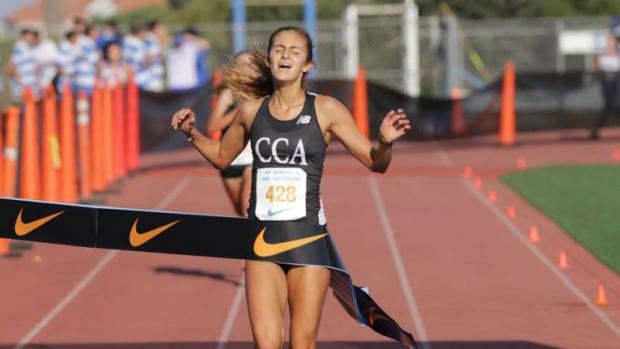 With defending champ and Foot Locker National finalist Patricia Miessner ailing all season, no one would be shocked if Rancho Bernardo freshman Jacey Farmer was at the front at the finish.